7 November 2017 – Craig Boyce, Chairman of Datacom Group, announced today that Greg Davidson, who is currently CEO Datacom Systems New Zealand and Australia, will succeed Jonathan Ladd as Datacom Group CEO from April 2018. Greg has had a long and successful career since joining Datacom in 1997 as General Manager of Internet Services. Since then Greg’s willingness to accept and meet various challenges has been rewarded with a rise through the leadership ranks. He was CEO of the New Zealand business for nine years from 2007 to 2016, when his duties were extended to include Australia. Craig Boyce, Chairman of Datacom Group said, “In his current role as CEO Datacom Systems New Zealand and Australia, Greg is responsible for the largest part of Datacom. He has a deep knowledge of and passion for Datacom and has been instrumental in aligning the Australia and New Zealand Systems business to meet customers’ needs better through a series of key transformation initiatives. “His dynamic leadership, deep insight and customer obsession have been a vital component to the continued success of the Systems business across New Zealand and Australia. The Board of Directors are confident that Greg will rise to his new leadership role and unlock further opportunities for differentiation and growth with Datacom’s customers. “During Jonathan’s more than seven years as Group CEO, he has driven strong performance across the business, both financially and culturally, through the Senior Leadership Team. 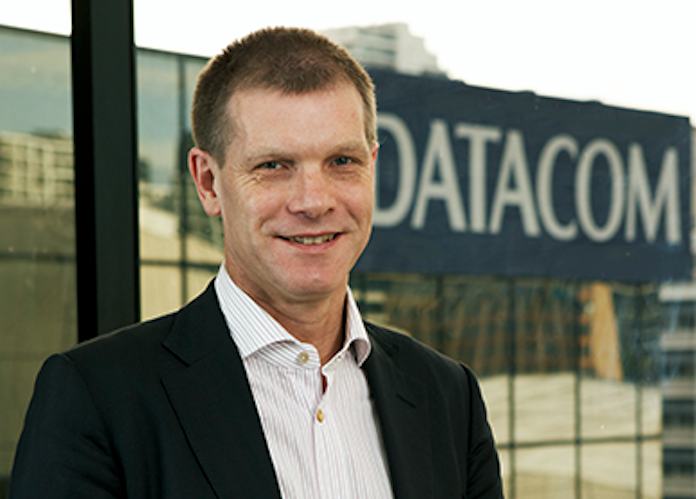 Datacom has adapted to a rapidly changing operating environment, forged new markets and continued to thrive. Financial performance has been consistently strong. The Board and Datacom’s shareholders recognise and appreciate Jonathan’s stewardship and his significant contributions to lead Datacom to where it is today. As a result, we can transition smoothly to Greg’s new leadership and Datacom will continue to evolve without interruption,” Craig said. Greg Davidson said, “This next chapter in Datacom’s history will build on past successes, and our strong heritage of customer focus, innovation and agility. Datacom will continue to push boundaries, think differently, and demonstrate the value of collaborating with customers and partners. I am proud to lead the organisation and our people into the future”. With over 5,200 people, and annual revenues of over $1.2 billion, Datacom is one of Australasia’s largest professional IT services companies. Datacom has extensive expertise in the operation of data centres, the provision of IT services, software engineering and application management, as well as payroll and customer service design and operations. Founded in 1965 and operating across Australia and New Zealand, Asia, Europe and the Americas, Datacom has a successful trading history of consistent growth and profitability from a track record of delivering innovative, cost effective digital and technology solutions. Datacom is committed to hiring, developing and promoting diverse talent. Our people are the best in their fields – smart, passionate, and dedicated to providing exceptional IT services to our customers. This makes for a rewarding and fast-paced work environment.